Day 8 now turning into night 8. The mass nation-wide-movement that took the streets continues. Alexandria, Cairo, Suez, again millions gather. This time the numbers of people demonstrating are the highest since it all began. It has been called the "Uprising", it has been called a "Revolution', still it continues to dominate all news. And spreads throught out the Arab World. There is no news today, nor has there been any news in the past 8 days, other than the news made by the people of Egypt. Their voices by the millions demand for the end of the Mubarak government. Media and experts report that the movement has not leader. Of all the opposition groups in Egypt the Muslim Bortherhood is the one of the most mentioned. Mubarak was born to power by a crisis and after 30 years of government he holds even after 8 of the most incredible days. To the surprise of some the demands of the people of Egypt are not responded to. 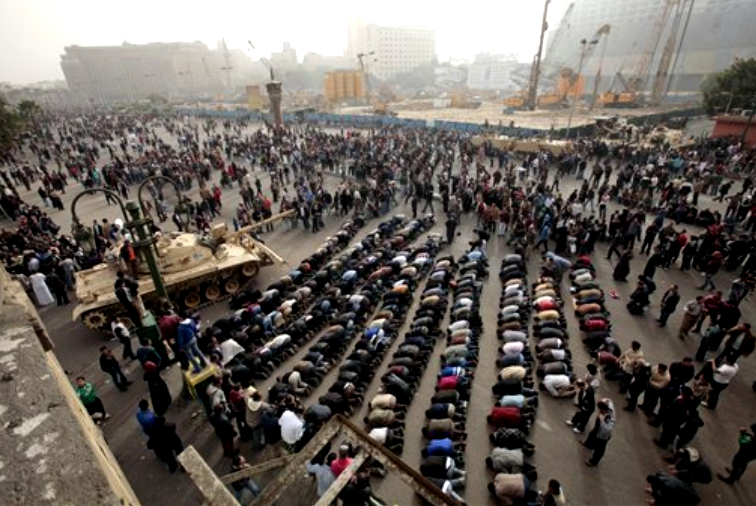 The Egypt demonstrations is so complex that it moves in uunkown ways. From ancient history to modern times, the world silently observes the Egyptian crowds, unprecedented. As the Egypt demonstrations continue, the prices of crude oil reach 100 USD a barrel. The highest peak price since 2008. The media report on crude prices and Suez canal as strategic transport routte. On the streets of Egypt bread and rice prices are of greater concern to the wider Egyptian population. Museums guarded, Phraohnic tombs irrupted, military and the people, police and sporadic �looters�, chaos, and order, resistance and peaceful demonstrations. It becomes a breaking news every minute. Historians know that it is impossible to fully analyze the present. From Tunisia, to OPEC, to US relationships, Israel and Palestine foreign voices play their role. With no clear political figure to emerge as the opposition leader, the situation becomes even more complex. The events that inspired and continue to inspire the people to demonstrate massively on the streets is well known. The question now is what will come. Who will lead the politics of Egypt? Today, it is clear that it is the people of Egypt who are making politics on the ground.